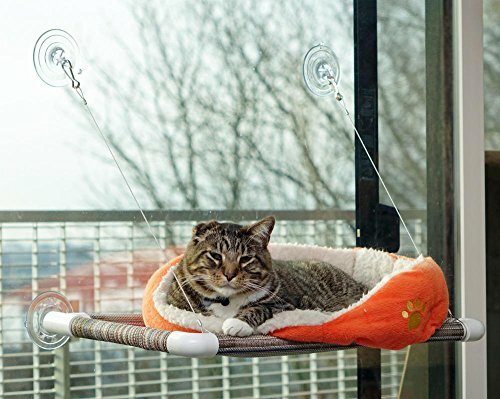 We have found the most outrageous cat room ideas for you to drool over! 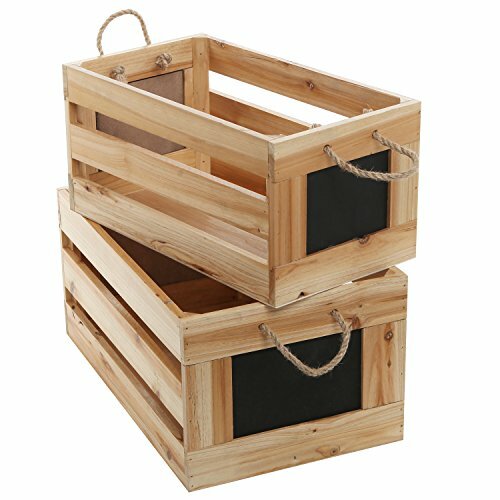 Who can resist these bright and colorful sleeping cubbies made from everything including the kitchen sink? 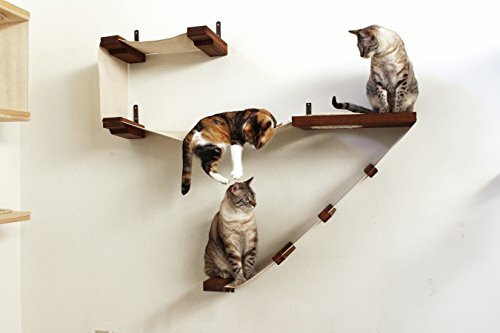 And just take a peek at the rainbow stairs folks have made for their kitties, arching up the wall giving their feline friends access to a veritable playground in the sky. 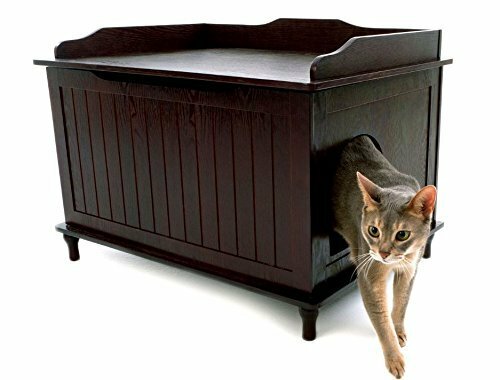 Let’s just say these cat rooms will spark ideas for crazy cat homes of all sizes, be they enormous mansions, small houses or tiny apartments. 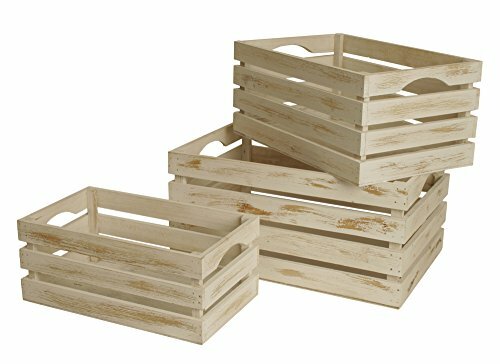 The diy ideas here can easily enhance the decor of any living spaces we mere humans occupy. 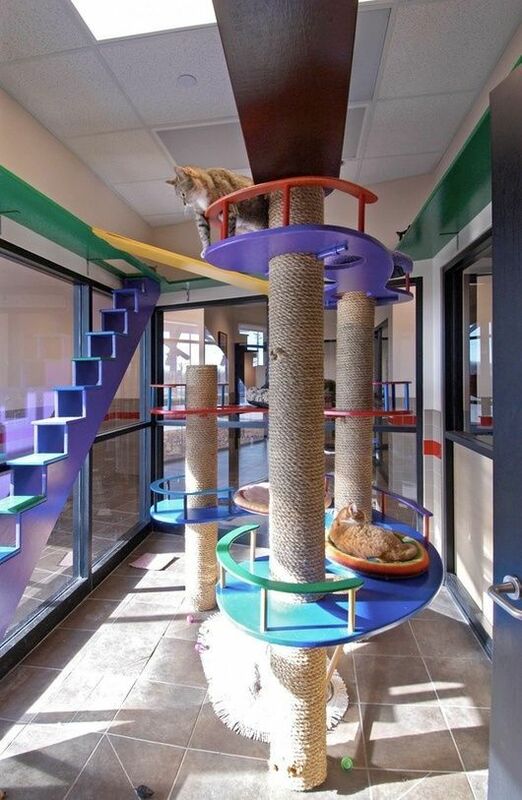 Indoor Cat Room Ideas… Does This Catio Count? What can we say? 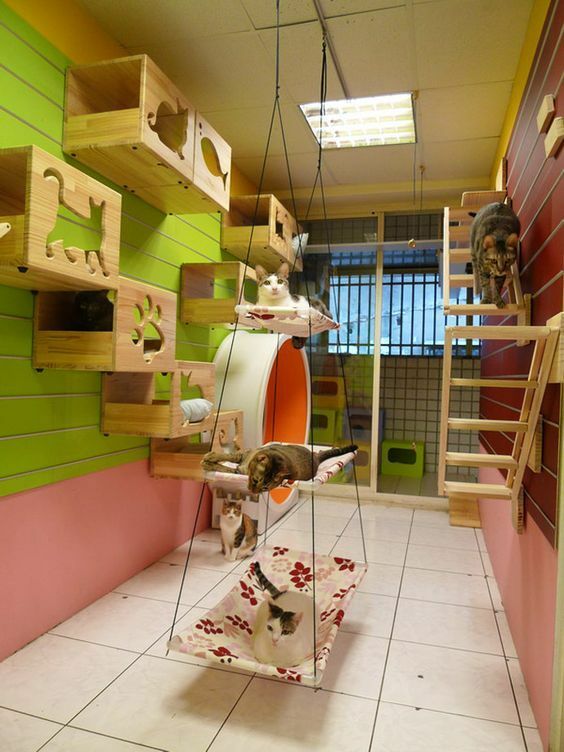 When we retire to become “Crazy Cat Ladies” we wanna build this amazing cat room for our feline overlords. 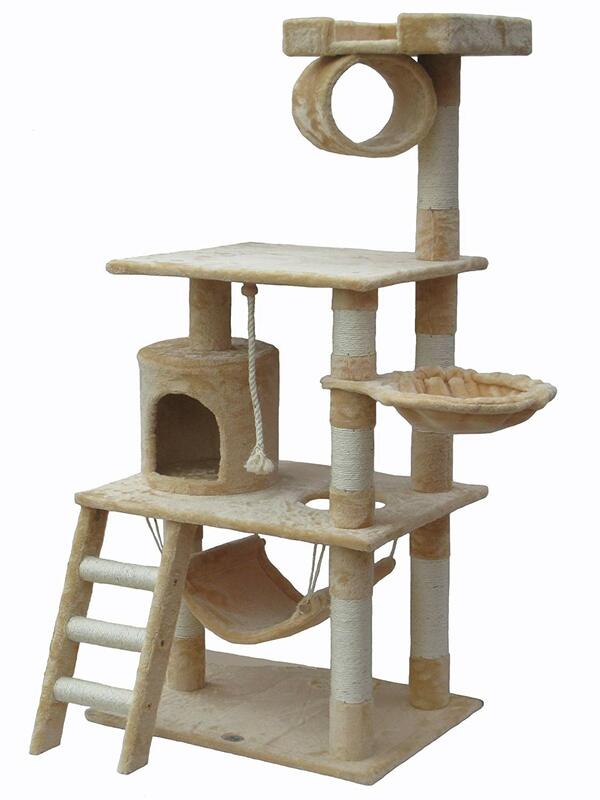 In all fairness, it doesn’t look that hard to build. I’ll bet my Dad could be talked into helping with the woodwork… Hear that Lelu? Mebe we don’t have to wait after all. 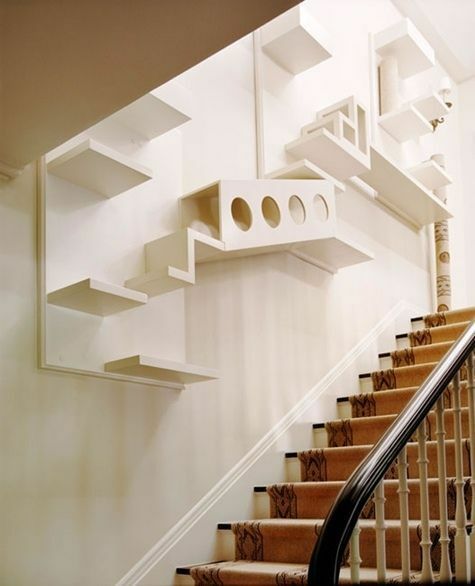 As far as cat room decorating ideas go this one is “Da Bomb” or at least that’s what my daughter tells me. I just think it’s nifty (but don’t tell her I said that out loud, she says it dates me LOL). 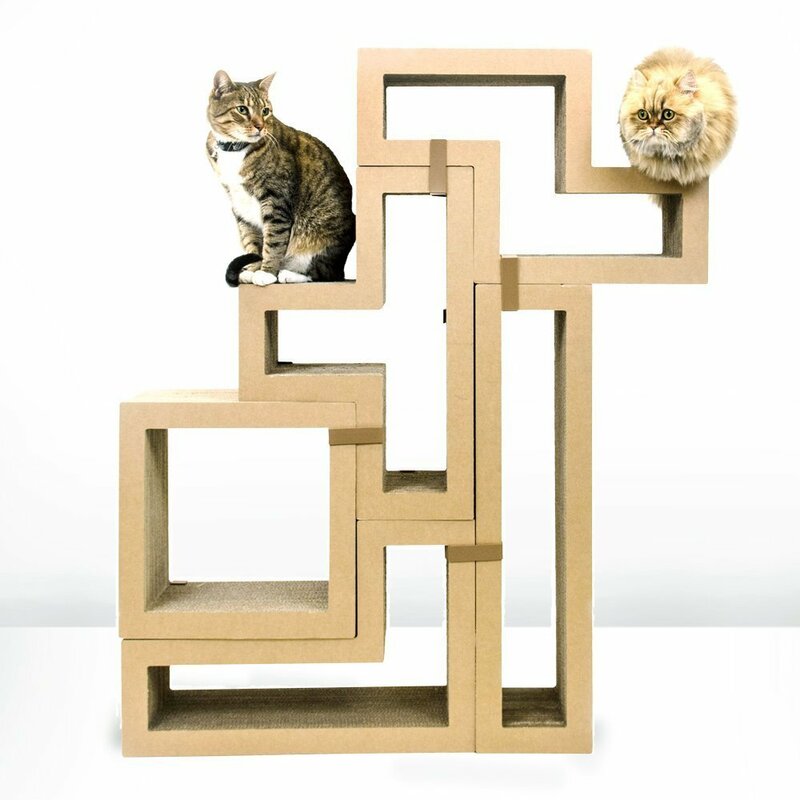 Even though we may not be able to agree on the proper adjectives to describe the awesomeness that is this cat room, we at least agree that staggering boxes on the wall like that is sheer brilliance! 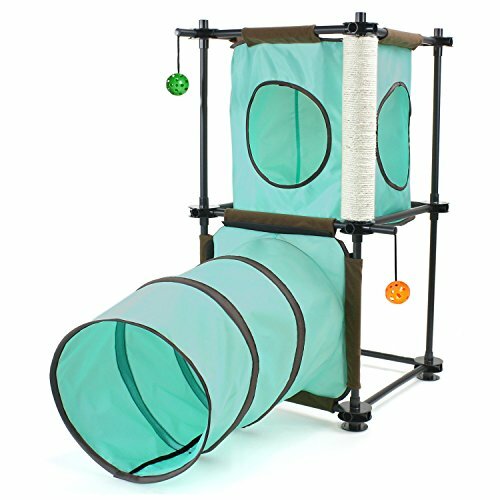 Can’t you just see your cats romping up, exploring and hiding in them? 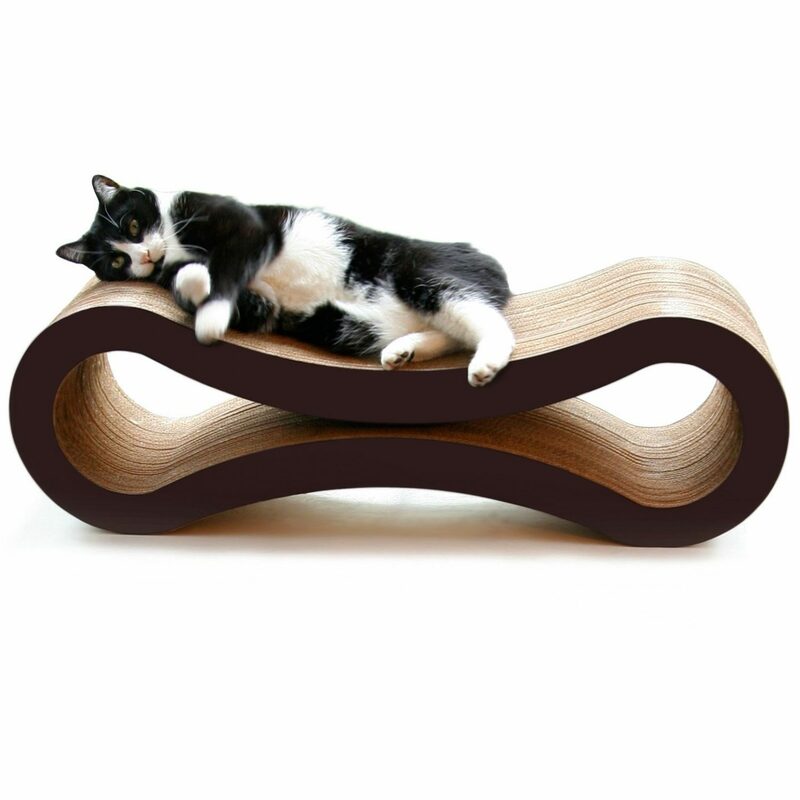 For example… can you find the cool black cat in this picture? 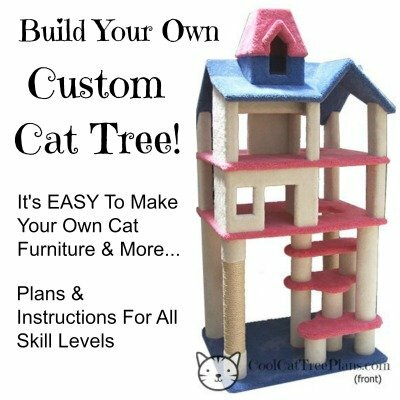 If you wanna build your own DIY cat room on a budget, and who doesn’t, this will get your creative juices flowing! 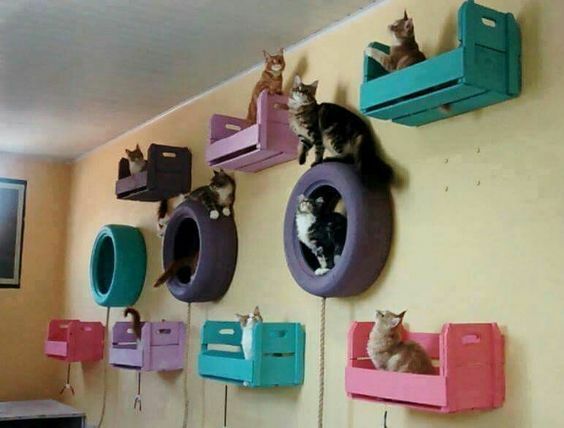 The simple crates painted in such bright, fun colors is super fun in and of itself but the tires shoots this “cat wall” right outa this world. 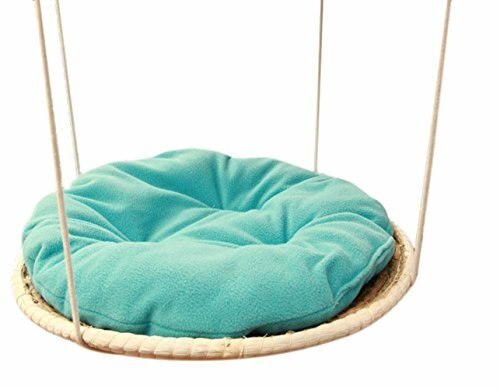 Can you see yourself making this? Fun Fact: Did you know that most tire stores will give you worn out tires for free? Yep, it costs them a fortune to dispose of old tires, so if you wanna give this project a try it’d be worth asking around. 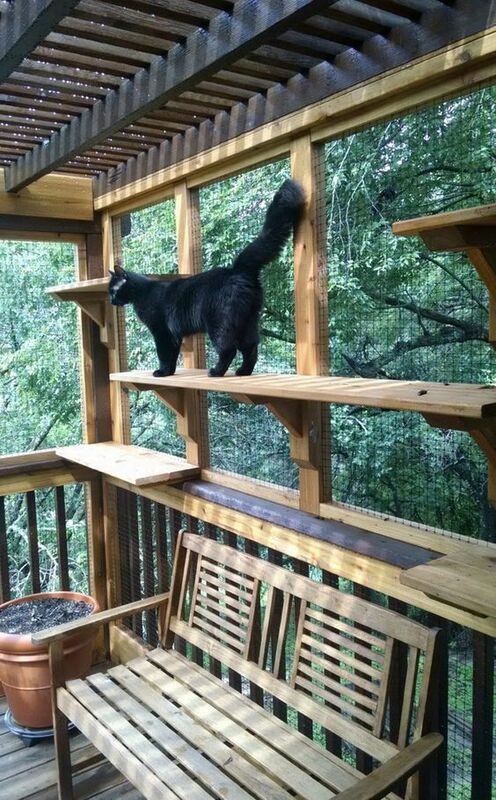 A catio is a place where indoor cat room ideas meet the great outdoors! 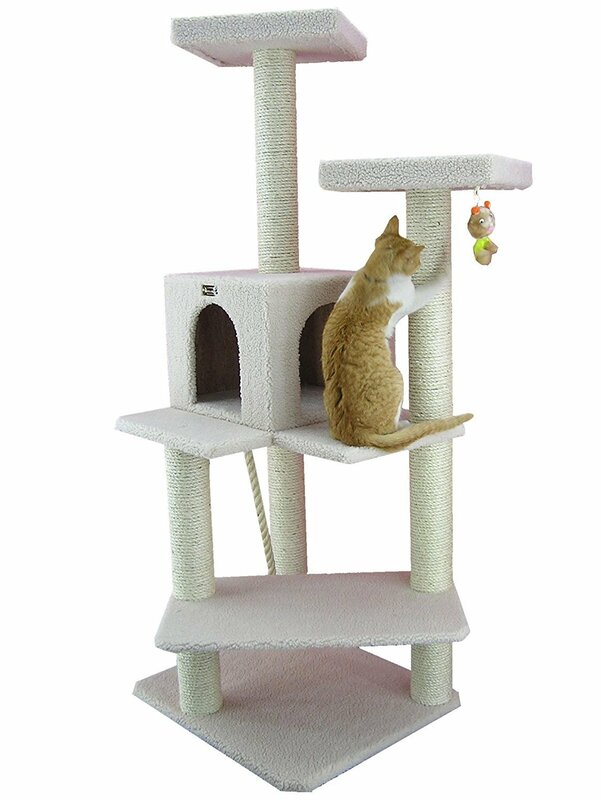 What cat wouldn’t love to prowl around a space like this “hunting” birds and squirrels? Just be sure to put mosquito screen on the outside of that wire mesh. 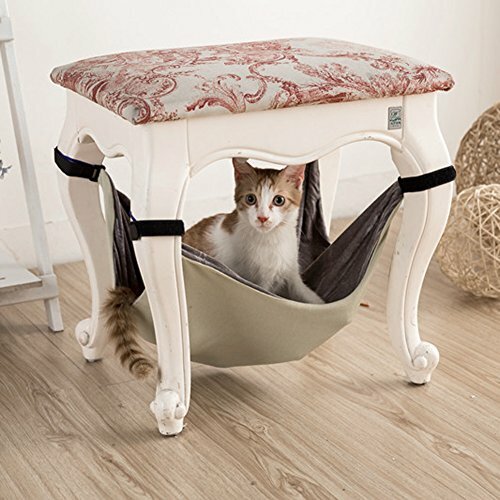 That would make this a comfy place for kitties and their human servants! 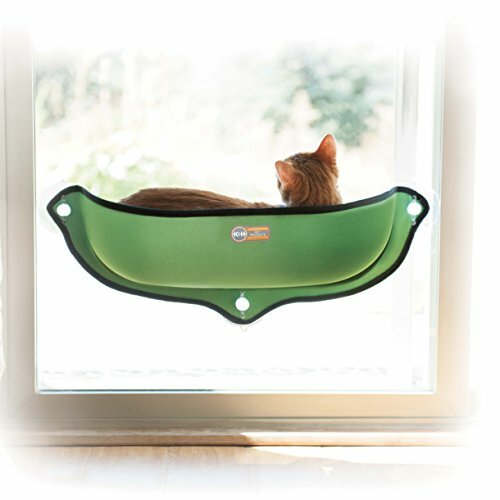 If you have a sun-room you’d like to convert to a “cat room” or just a sunny window your cat would enjoy snoozing in the following are nifty products that’ll get you going but that won’t break the bank. 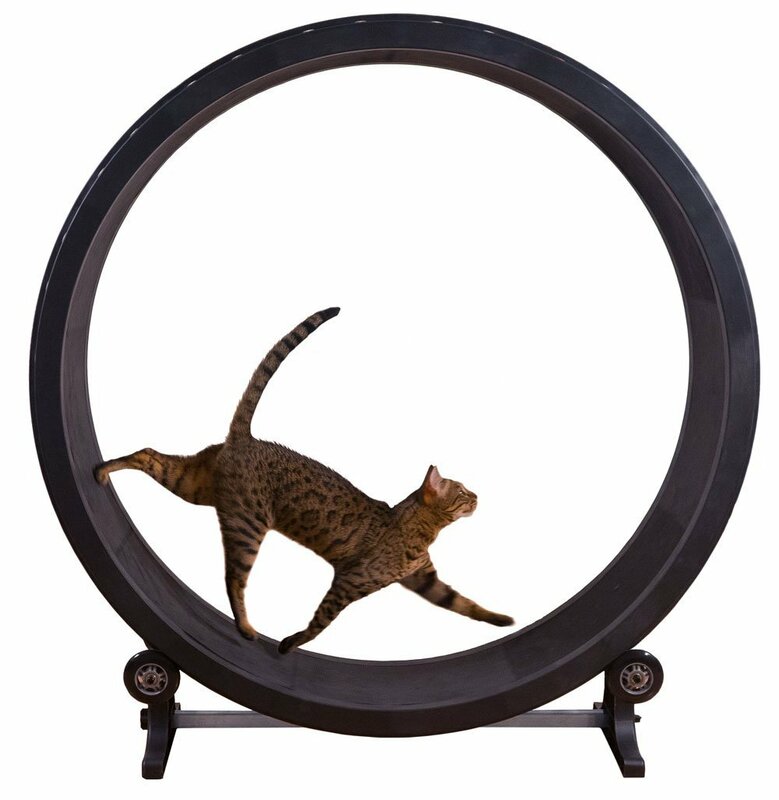 Speaking of cat play rooms for small spaces… Take a look at this! 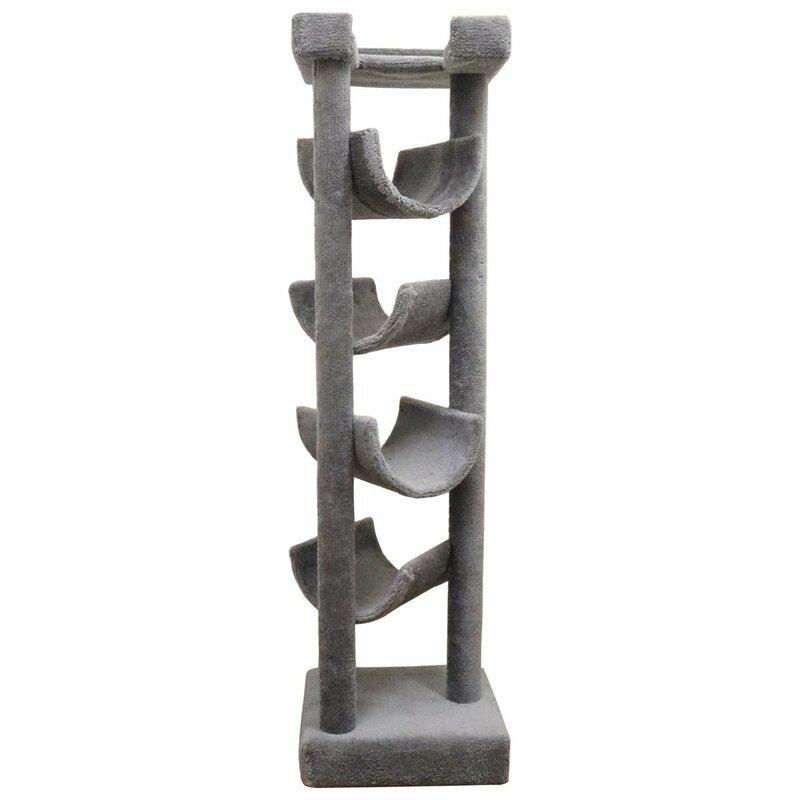 How many of you have stairs in your homes? 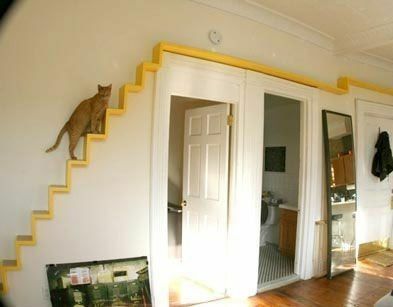 Now, how many of you have made any use of that wall space along your stairs? No one we know ever has. 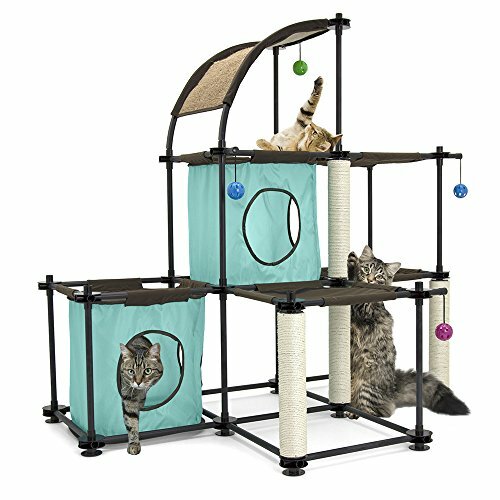 But you can bet your bottom dollar that if we ever get a house with stairs again that space will be transformed into a kitty playground! Can you see yourself doing this? 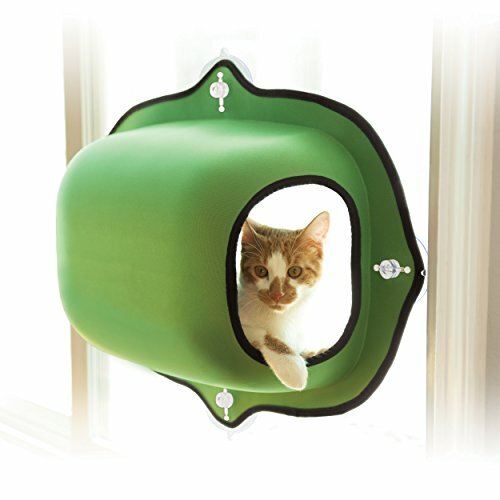 As a side note, we also love how unobtrusive this particular cat room is. 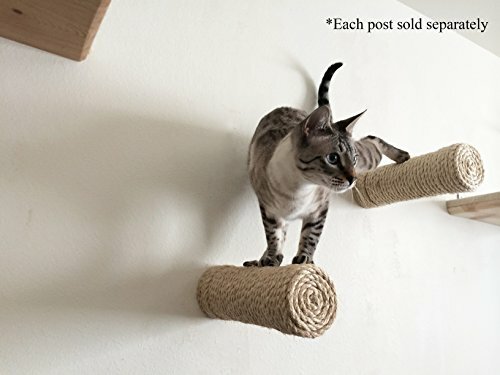 There’s a lot going on here for the kitties but it doesn’t clash with the home’s decor or really draw attention to itself. 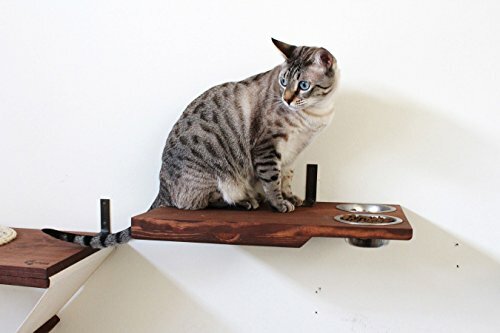 At least not for the human visitors to the home. 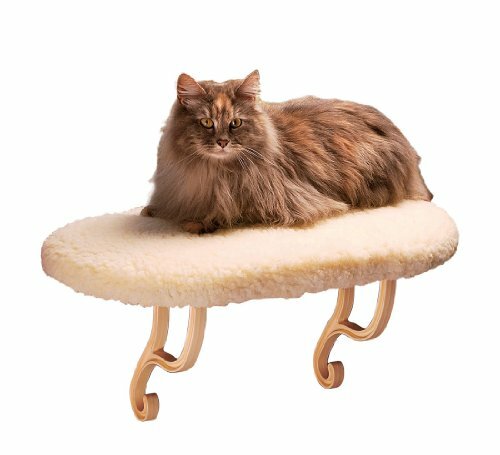 I’m sure the feline occupants know every inch of this space. 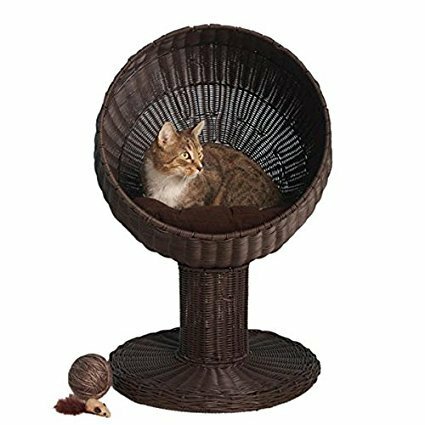 Just goes to show, not all crazy cat lady constructs need to be bright garish colors. So, wadda ya think? 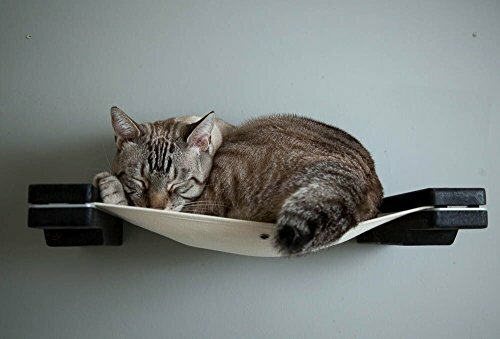 These are really cool cat spaces aren’t they? 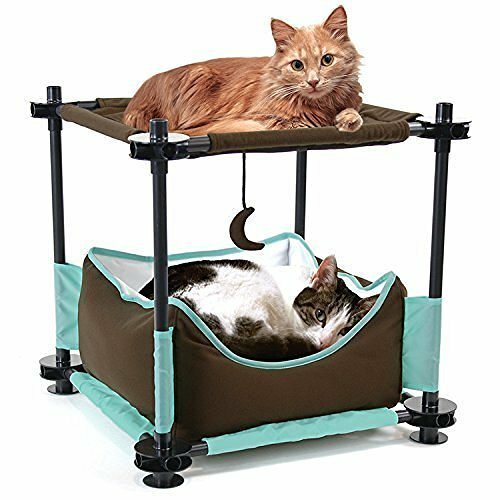 Even though some are huge cat play rooms we really think that even those of you who live in a studio apartment can find ideas here that will work for you. 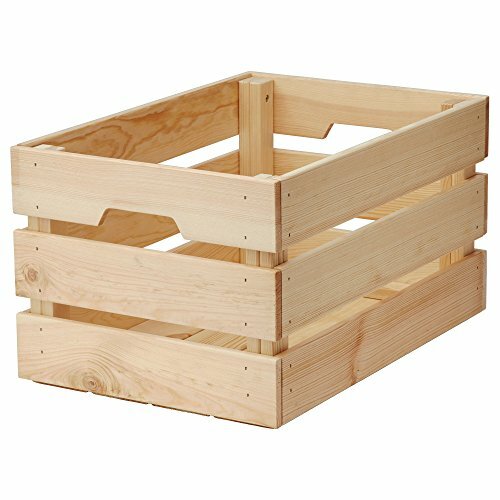 Don’t look at the whole thing and become overwhelmed because you don’t have the space or don’t think you can build “THAT”. Pick out one element that you love and start with that. 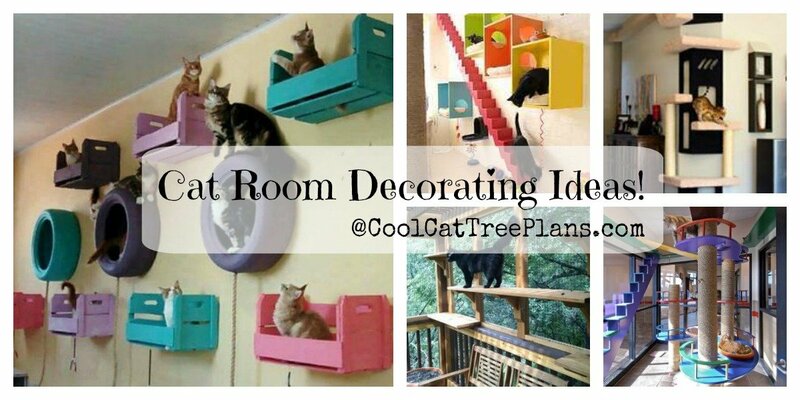 Then move on to another, ’cause we all know that these cat room ideas are addictive, right? 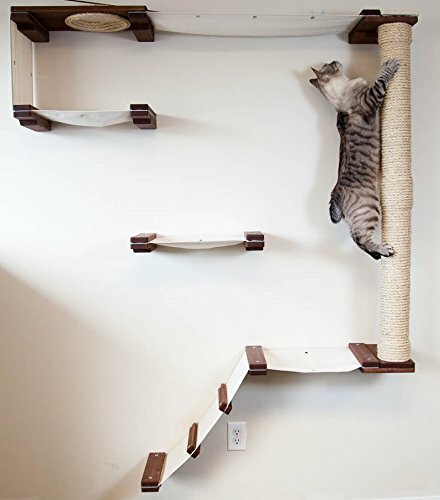 That way you’ll never forget any of these cat room ideas you want to try. 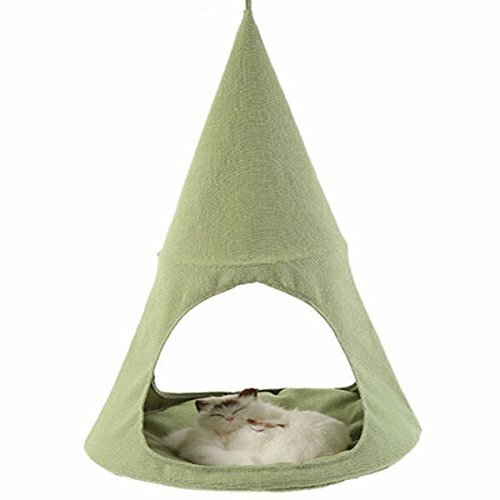 Like This Cat Room Ideas Information?